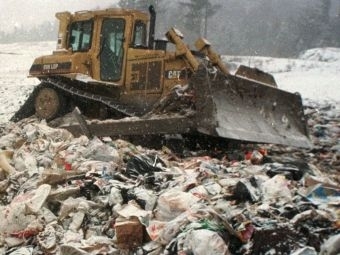 Twenty-five years ago unlined local landfills dotted Vermont and we dumped just about everything into them. Today our trash is trucked to distant places. Even though modern lined landfills are environmentally safer than their old counterparts, the emphasis is increasingly on reducing how much trash we’re sending to them. We talk with George Desch, director of the waste management division of the Department of Environmental Conservation and Teri Kuczynski, manager of the Addison County Solid Waste Management District about what happens to our trash and what’s being done to divert it from landfills. Also, Valley News reporter John Gregg looks at the employment picture in the Upper Valley in light of the closing of a New Hampshire state unemployment office, and why Dartmouth Hitchcock Medical Center is joining other New Hampshire hospitals in a lawsuit against the state. Finally, another in our series of Vermont Edition Summer School lessons. This one is on how to build a sand castle. Our instructor is Tim Tailer who runs the Governor’s Institute on Engineering at UVM. And we read from your comments to the program. VPR’s Jane Lindholm talks with John Flowers of the Addison Independent about the issue of towns and waste haulers setting rates.